Linda, a seasoned writer and home-decorating authority, loves sharing design trends, decor ideas, and useful tips with her readers. 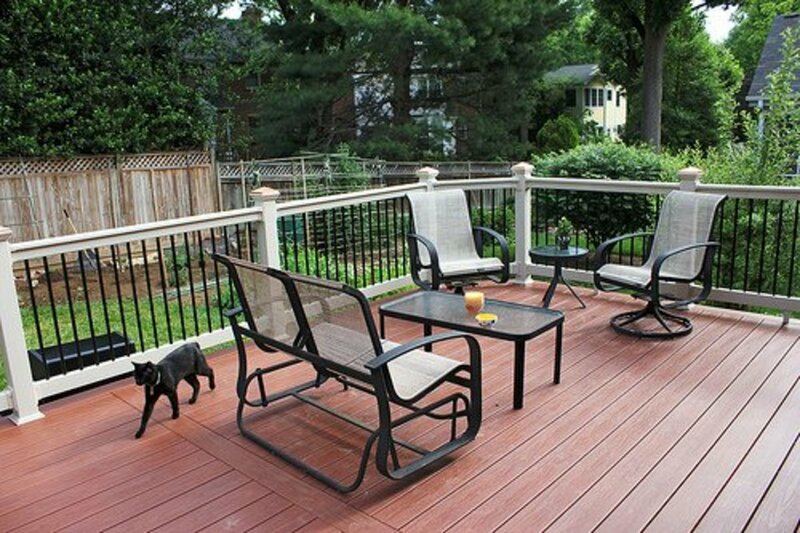 When thinking about adding an outdoor deck to your home, there are a number of things to consider. Cost, durability and maintenance are major factors in your decision-making process. However, before you go any further, it is a good idea to investigate the different types of outdoor decking materials available to you. Once you’ve chosen a decking material that suits your needs, the other variables will fall into place. Out of all the natural wood choices, pressure treated pine is the most cost-effective. It is readily available and is relatively strong and easy to work with. Pressure treated boards resist rot and cracking. An outdoor deck made from pressure treated pine will hold up for many seasons of use with the proper care and maintenance. Be advised however, that even properly sealed pressure treated lumber can warp and splinter. If you can, select boards from older growth pine – it is more stable and will hold nails and resist twisting better than cuts from younger trees. If you don’t like the natural look of your pressure treated pine, you can stain it to resemble other types of wood. Just remember to account for regular deep cleaning, sealing and staining when coming up with a budget for pressure treated pine. 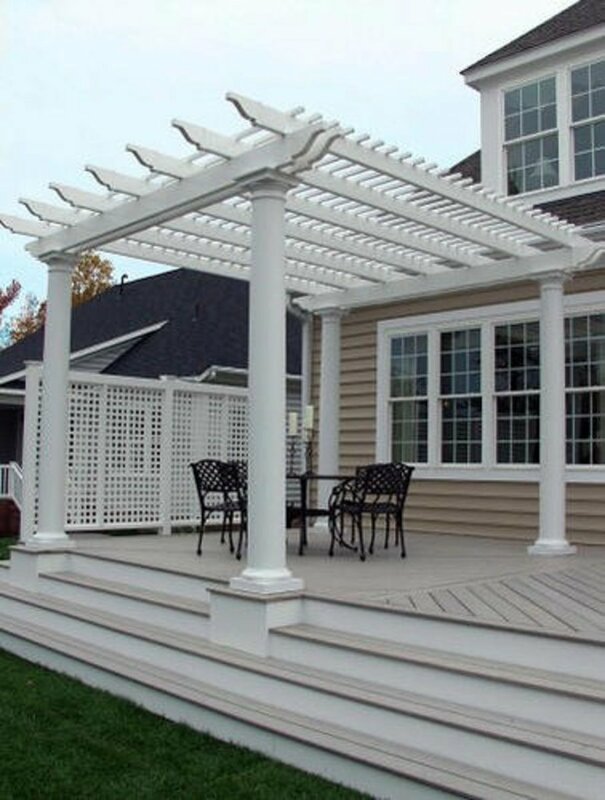 Redwood decking is a popular choice partly because of its beautiful natural color, which means you don’t have to go to the added expense of applying a stain. Redwood is naturally resistant to decay and cuts nicely. It is a durable wood that will stand up to wear and the elements, but does command a higher price tag than pressure treated pine. To maintain its rich color, you will need to clean and seal your redwood deck periodically, adding to the overall cost factor. 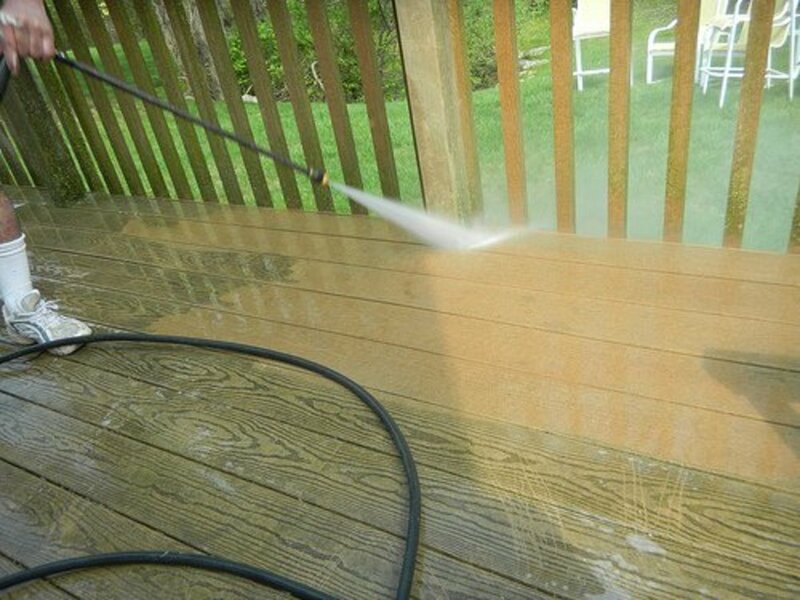 You’ll know when to seal any natural wood deck: simply spray it with a garden hose. If the water beads up, you’re deck is protected. Cypress decking is popular in the South and along the Atlantic seaboard because that’s where most cypress wood is grown and harvested. 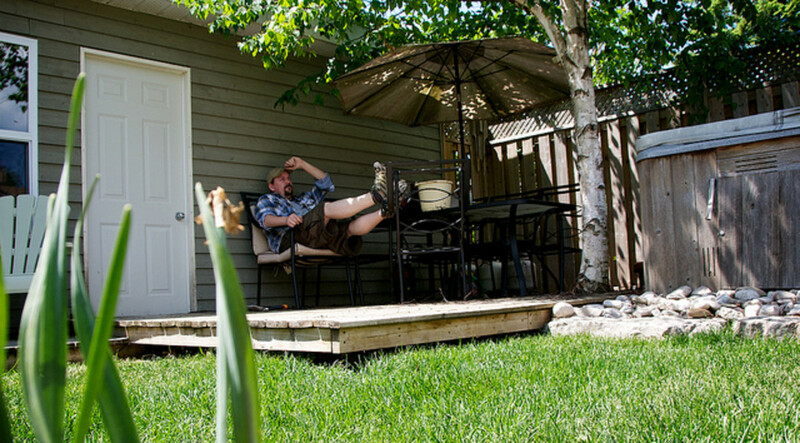 For that reason, can be an expensive decking material – especially for homeowners in other parts of the country. Cypress, considered an exotic wood, has a naturally occurring chemical compound called cypressene that resists rot, mold and insect infestation. Cypress is also an extremely dry lumber that resists water absorption, allowing it to maintain a pleasing color over the course of its life. Cypress decks weather beautifully, ultimately achieving a silver-gray appearance. It wears to a splinterless finish, holds nails and its shape. Once it has weathered to your satisfaction, you can apply a sealer to maintain the color. Sealing will also prolong the life of your cypress deck. Cedar is by far the most popular choice among wood decking materials. Cedar lumber is surprisingly lightweight and durable. Cedar does not fall prey to decay like other wood species. Splintering is minimal and it is comparable in price to redwood. It does not warp and holds nails and screws tightly. As with other wood decking materials, apply a yearly sealer to maintain the beauty of the wood for years to come. You may pay a premium price for teak lumber, but you definitely get what you pay for when building an outdoor deck from this desirable hardwood. Teak is super strong and durable. It is unsurpassed for ease of use. 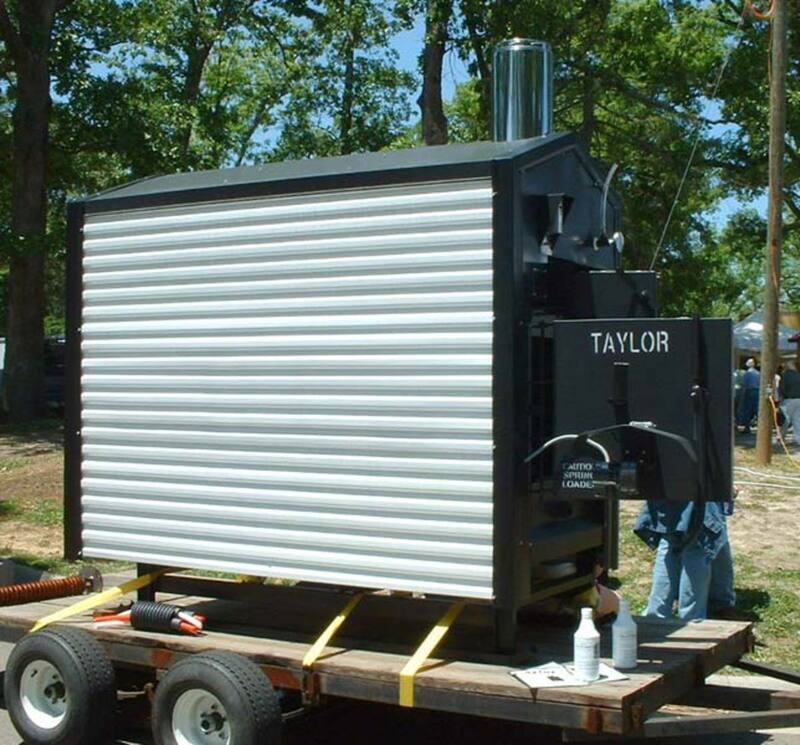 It won’t warp, crack or splinter and has natural oils that resist, rot, mold and insects. These oils also negate the need for sealants. In fact, the only maintenance required is a routine sweeping and cleaning. Teak eventually weathers to a lovely silver color when left untreated. If you regularly apply a coat of specialty teak oil, your deck will take on a beautiful golden hue. I remember when I first saw wood composite decking used years ago on This Old House. 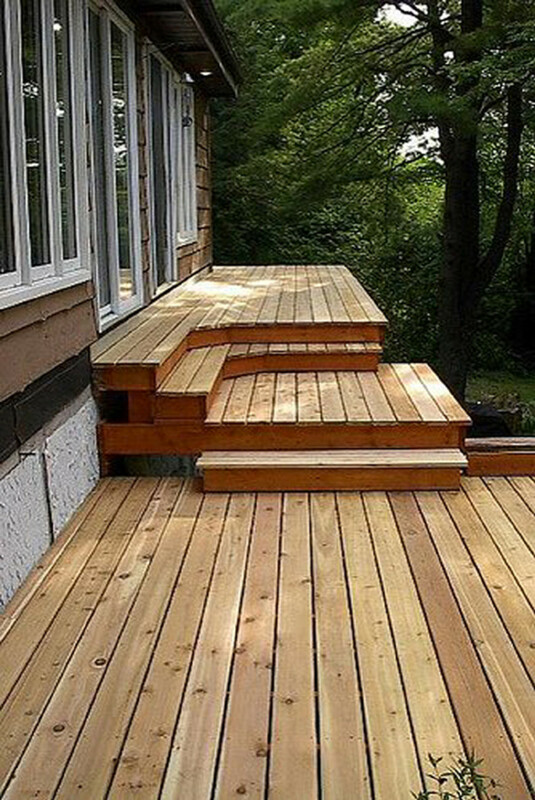 I thought these types of decking products were a great idea at the time and apparently their popularity has since grown.This is probably a response to an increasing consumer desire for no maintenance, eco-friendly and sustainable decking materials. These composite decking materials are a combination of recycled wood and plastic fibers that are stained to look like actual wood. 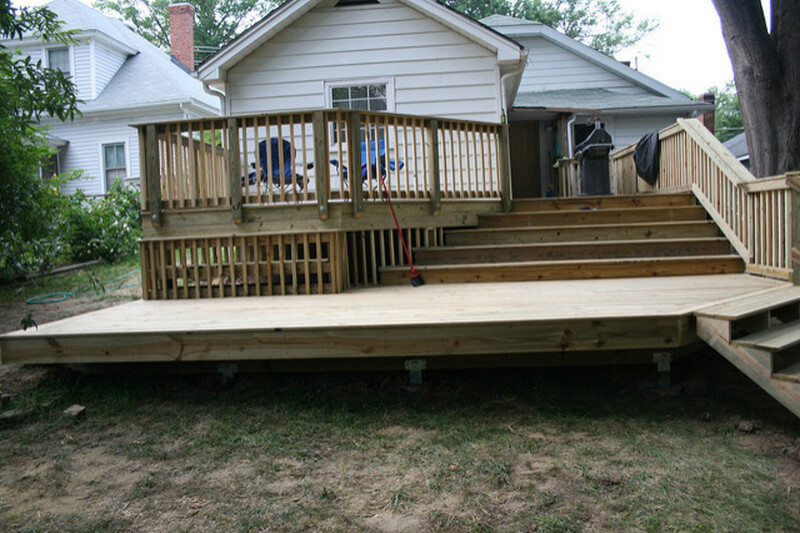 Composite decks are strong, withstand the elements and are easy care. They look surprisingly like real wood (with a semi-realistic wood texture) and will outlast the real deal by years. Some lesser brands are susceptible to staining, mildew and slips, so be sure to do your homework before purchasing. 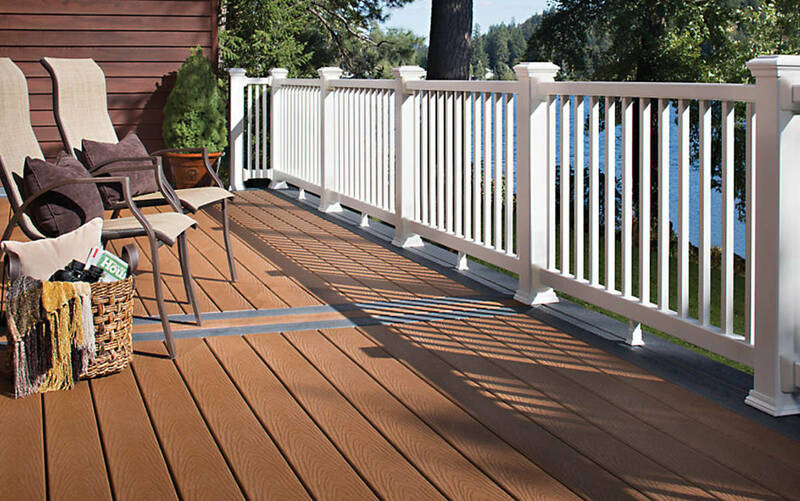 Wood/plastic composite decking systems are not cheap, but at least one major manufacturer has come up with a budget-friendly product that may offer frugal homeowners a good option. The color selection and options are limited, but it is a better value than exotic hardwood decks. Vinyl, which encompasses PVC and polyethelene, is unsurpassed for resisting the elements and staining. This type of decking is designed to look like real wood and even has a stamped texture. It is extremely lightweight and relatively easy to assemble for seasoned do-it-yourselfers. It requires no maintenance except and occasional cleaning and is available in a variety of fade-resistant colors and textured finishes. And it is cool underfoot, unlike natural wood and composites. Be advised that some vinyl decks look cheap and can become slippery when wet. Over time, vinyl decking will sag more than natural wood. 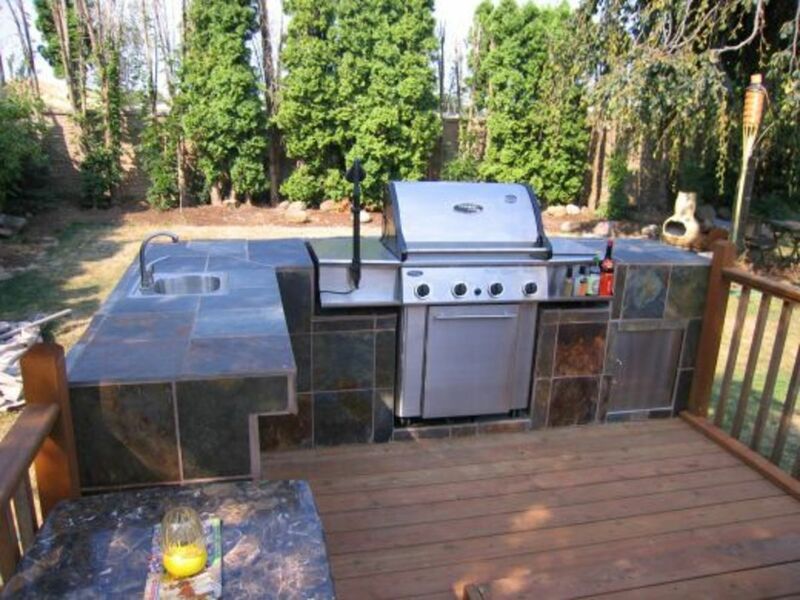 Thinking Outside the Box With Decking! I want to start a wooden decking job in a 35-40 SqFt area on a terrace outside. What is a suitable material to construct this with? I would suggest a composite decking material that will withstand heat, sun, humidity and rain. Hopefully, these types of products are available. If not, look for any type of pressure treated lumber. It will avoid rot and mildew. Stay away from pressure treated if using it for an indoor space--the chemical preservatives could be toxic. 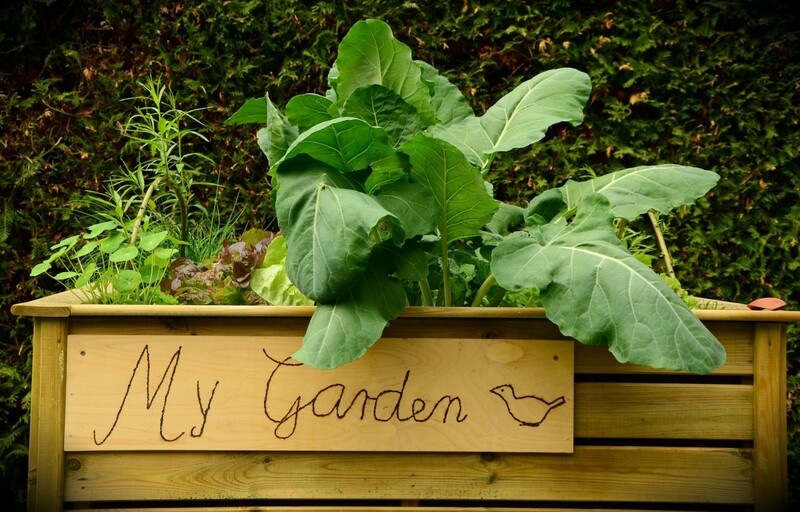 The best thing would be reclaimed wood or a preservative-free hardwood like teak or ipe. Very pricey, but will last a lifetime. Thanks for reading and commenting! Yes, of course.....please do link! If I had my time to go over again, I would not have painted my pressure treated wooden deck. Now every 3 years or so, I have to strip and repaint it. In fact, I wrote a Hub about how I did that. Good information here and I voted UP, and will share. When we lived up north, we had a huge wooden deck that was so wonderful. We had many meals outdoors and parties on that deck. You are so right, even though we used pressure treated wood, it still splintered some. Thanks for the memory. Thanks Om! I like the look of real wood too, but the low maintenance composites definitely appeal to my lazy nature when it comes to outdoor related DIY! Very useful info. It's good to know about the pros and cons of each material. I think I personally prefer the look of real wood than vinyl and composite materials. That picture of a cedar deck just looks so lovely. This hub is as useful as the one you did on carpeting. You floor me. (Oh no, did I really say that!) Also consider Brazilian hardwood, often called ironwood. It's being used around oceanfronts because of its strength and resilience. It weighs a ton and you can't drive a nail through it - you need to drill. Expensive but worth it. Yes, Leah, the composites and vinyl are way expensive. Guess the manufacturers know most people want them, so they can command a higher price. We've always had wood decks -- one redwood and one pressure treated pine. I'd go for the redwood over the pine if the budget were there. That's one of the main problems with wood decking -- they become splintery, worn and stained over time. If only the composite and vinyl decking materials weren't so expensive! I would LOVE the ease of maintenance, but the materials are outside of our budget at the moment. We'll stick with wood, though we do have to watch for splinters (our wooden decks are old and starting to show heavy signs of wear)!